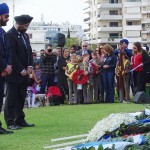 Remembrance Sunday in Athens was marked by a service in St Paul’s, with HE The British Ambassador, Kate Smith, and many other Ambassadors and representatives of the Commonwealth present. H.E. 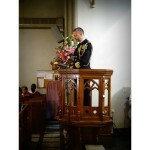 read the gospel whilst her Defence Attache, Tim Ferns, read a lesson and the “ode of remembrance”. A wreath of poppies was placed on the alter by Church Warden Nigel Daniels and at 11.00 hrs the entire congregation processed outside to witness Tim ringing the bell just as the bells were rung across the UK at the appointed hour. Afterwards many people travelled down to the beautiful CWGC cemetery at Alimos, where an international gathering attended by Ambassadors and representatives of many nations, faith leaders, schools and other organisations, sang hymns, and listened to readings. It was also wonderful to have the choir of Byron College contributing to the ceremony at Alimos, singing two pieces specially composed for the occasion by their music teacher, Dimitri Orlov: a captivating and moving performance. The Last Post was sounded, followed after a period of silence, by Reveille and the singing of the UK and Greek National Anthems. 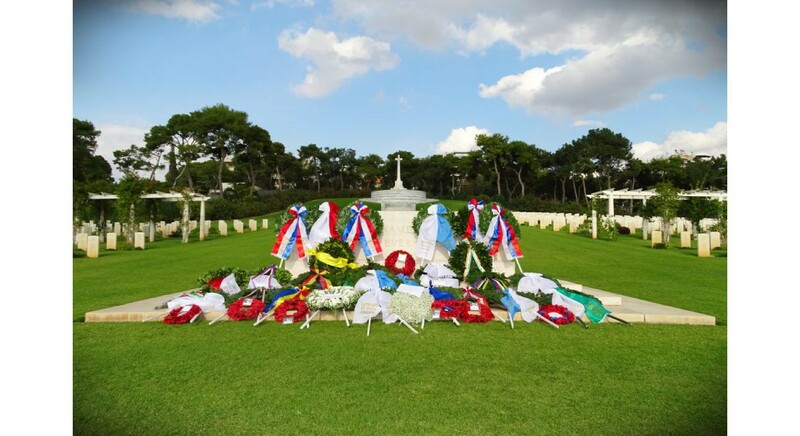 Then wreaths from many countries and organisations were laid at the foot of the memorial. Representatives of the Sikh community were present at the service. Over one million Indian troops served overseas, of whom 62,000 died and another 67,000 were wounded. In total at least 74,187 Indian soldiers died during the war and the names of many of those are recorded on the memorials in the Cemetery. 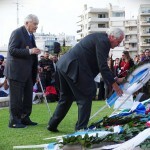 As the wreaths were laid, a ripple of applause went round those assembled as two member of the Greek Sacred Squad came up to lay their wreath. 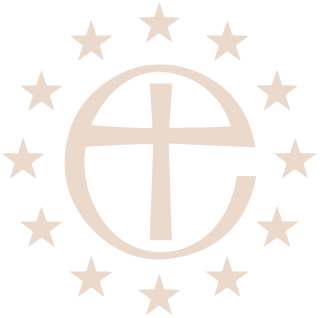 The Greek Sacred Squad was a Greek special forces unit formed in 1942 in the Middle East, composed entirely of Greek officers and officer cadets under the command of Col. Christodoulos Tsigantes. These Commandos were highly trained, strong in body and also in spirit. They fought alongside the SAS in the Western Desert and together with Allied Commandos they liberated the Aegean Islands. They also fought with General Leclerc’s Free French Forces in Tunisia. They kept fighting until the very end of the Second World War – 381 Battles during the last two years of the War. It was disbanded in August 1945 but is the precursor of the modern Greek Special Forces. Another unique and poignant moment came when the representatives of the Canadian Embassy paid a visit to 7 Canadian servicemen who are laid to rest in Phaleron CW grave site, plus one that they had not known about. 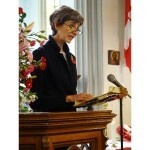 Staff at the Embassy had done some research on the Commonwealth War Graves Site to find the Canadians and then used ancestry.com to find, in several cases, pictures or at least some background material which gave a glimpse into their short lives. This led to the idea of laying flowers, reading a few items, and paying respects at their gravesites in addition to the commemorative ceremony for all. The head gardener pointed out the new grave, of an unknown Canadian serviceman to them. “In Flanders Field ” was read and they stood for a moment in silence to show their respect. Looking at the graves of the fallen – some as young as 16 – made us only too aware of the importance of the ceremony we had just participated in. Refreshments were served and as people mingled in the sunshine chatting together, many of us were thinking “there, but for the grace of god, go I”. 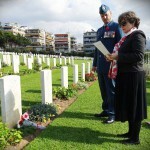 Representatives of the Canadian Embassy pay their respects to the 7 Canadian Servicemen buried in Alimos.